We infuse our products with beautiful natural ingredients. We have experienced in house research and development team. 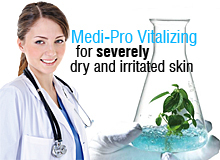 We strive to develop natural formulation that works. 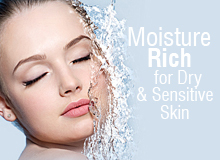 We provide extensive product range to tailor different types of skin. lovely customer write for us ! Finally I can enjoy the benefits of clear skin and have found a renewed confidence. Thank you for such a fantastic product! I will definitely recommend Lalisse….my skin looks clear and feels great. Congratulations on making a product that really does what it says!! I have been recommending Lalisse to everyone in sight! I am extremely impressed and I think this is a wonderful product…this truly leaves your skin looking and feeling absolutely stunning…everyone has noticed how my skin glows. I owe it all to Lalisse! Lalisse is the best product I’ve ever used; nothing has been able to clear up my skin until I used Lalisse. Thank you for a wonderful product that truly works. Lalisse has been fantastic…thanks so much; I feel much better about myself now that I have a clear complexion. What a great product! I am very happy with Lalisse Sheep Placenta Health Food, it improves my skin texture and reduce the appearance of fine lines. The Lalisse Prostate Health Management health food works quite well, I see improving in less frequent travelling to toilet during mid night! Get more information from customer care. Lalisse product ranges are manufactured and distributed through Lalisse Australia Pty. Ltd., a Melbourne based company, which specialises in the research and development of innovative skin care products and health food products.